Knee and hip replacement surgery are commonly performed surgery with more than 90,000 knee replacements and more than 80,000 hip replacements carried out each year in England and Wales. Many patients return for operations on other joints because they are pleased with the outcome of the operations they have already had. In deciding whether to have a knee or hip replacement, patients need to know the likelihood that the operation will help them, how much better they are likely to be, how long the joint replacement is likely to last and and also the risks of complications and adverse outcomes. Specific information on the improvements that patients generally experience and also the risks of surgery are given in the sections of this website on each specific operation. This page describes how the outcomes are monitored and some more detailed figures. The sections of this website on knee and hip replacements describe the typical patient experiences. The following is a more detailed explanation of the technical ways of measuring outcomes. 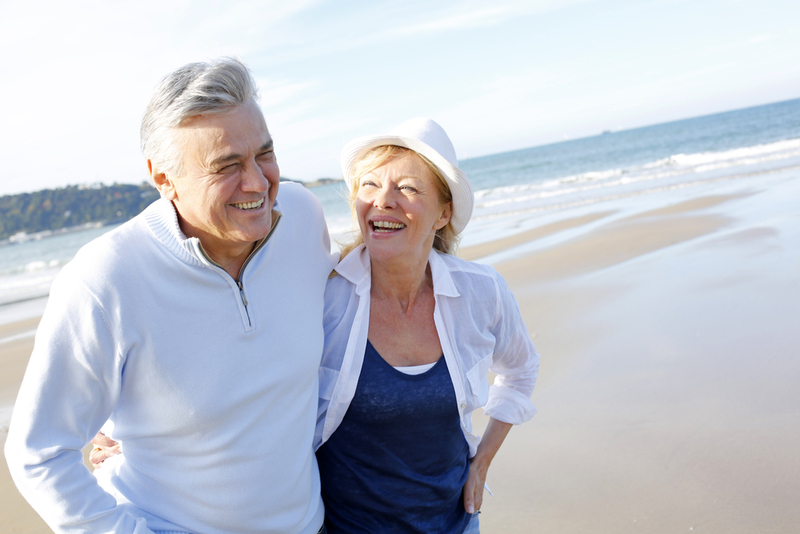 The outcomes of knee and hip replacements are monitored independently. Patients having the surgery are asked to complete questionnaires before and after the operation, describing how much they can do. This is referred to as “Patient Reported Outcome Measures” or PROMS. This is to monitor that the operations are being done well enough to benefit patients as much as possible. PROMS are expressed in terms of ‘scores’. The scoring systems used include the Oxford Knee Score and the Oxford HIp Score. Patients are asked questions on which activities they can and cannot do both before and 6 months after they have the operation. The questions relate to how well their knee or hip functions. It is expected that most patients will report an improvement in their score after they have a joint replacement. The performance of individual hospitals are expressed in terms of the average improvement in Oxford Score’ amongst their patients. The typical patient will feel ready to have a knee or hip replacement when they have significant pain and disability from the affected joint. This is an individual decision and should be discussed initially with your GP if you are concerned. As a guide, when pain is sufficiently severe to disturb sleep and/or it prevents being able to walk far enough to attend to essential activities, a knee or hip replacement may be appropriate and the risks of surgery justifiable. The Oxford knee and hip scores are based on 12 questions. The minimum score is 0, representing severe symptoms. The maximum score is 48, representing normal hip function with day to day activities. Sporting or endurance function (including walking for more than about two hours or walking on rough ground, reaching difficult spaces, kneeling or squatting) are not considered in the oxford scores and it may be possible to be experiencing some of these difficulties and still have a high Oxford Score. However, the limitations of what is achievable with knee or hip replacement surgery mean that an eventual score of 40-48 represents the best that most patients can expect to achieve after a joint replacement. Most patients will have a knee or hip replacement when they reach a score of 16-19. Following surgery, there is an initial period of recovery during which activity is very restricted, lasting 1-2 months. Following this, there should be an improvement in function and comfort. Initially, there is rapid improvement in the first 3-6 months, then slower improvement over another 6 months. The typical patient will reach a score of around 33 by 6 months and a score of 40-48 by one year. Please note that the maximum score of 48, represents normal function with everyday activities. This does not necessarily mean sporting or endurance ability. Knee or hip replacements have a 90% chance of lasting at least 10 years, 80% chance of lasting 15 years and 50% chance of lasting 20 years. This means that some fail earlier for a variety of reasons. Therefore, a joint replacement should only be carried out if the pain and disability is sufficiently severe as to justify the risks of surgery and the need for further revision surgery if the joint replacement eventually fails. Patients who have knee or hip replacement surgery are entered into a central register for England and Wales called the National Joint Registry or NJR. If the joint replacement subsequently fails and requires further replacement (revision) the NJR is informed. Based on this information the NJR monitors for any problem areas and ensures all practicing surgeons and the implants used have results within an acceptable margin. Some revision operations are carried out not because the joint replacement has failed but to improve the outcome if there are limitations. This may occur, for example, if a knee replacement scars and becomes stiff. The result may still be acceptable but an optional revision procedure can be carried out to improve the result if the patient wishes to. The NJR does not distinguish between revision operations carried out that were necessary and those that were optional. Please note that in Mr Sehat’s practice, unlike most centres, we offer revision surgery when it may help to improve and optimise the outcome, even though it was not strictly necessary. The rate of actual failed joint replacements is lower than the overall revision rate stated by the NJR. Leading hospitals such as Nottingham University Hospital that treat complex cases also tend to have higher revision rates because of the nature of the cases and despite their expertise. (C) This is the overall revision rate. Nationally, many hospitals will only offer a revision procedure if it is necessary due to failure of the joint replacement. In Nottingham and in Mr Sehat’s practice, approximately half of the revisions are necessary due to early failure (eg: due to infection) and approximately half are carried out optionally to improve the outcome further.